Lyricist Jack Yellen wrote Happy Days are Here Again with composer Milton Ager in 1929. Yellen was a registered Republican…which bears relevance in that the song would become not only Franklin Roosevelt’s 1932 campaign song, but the unofficial song of the Democratic Party for years to come. He probably still cashed those checks, though. You’ve been listening to Leo Reisman and his Orchestra on a Victor 78 from 1929. The song was featured in the 1930 MGM film Chasing Rainbows, and the Recording Industry Association of America put it #47 on their “Songs of the Century” list in 2001. This episode was co-written with Christina Reid, part of the Sound Beat Class Partnership. 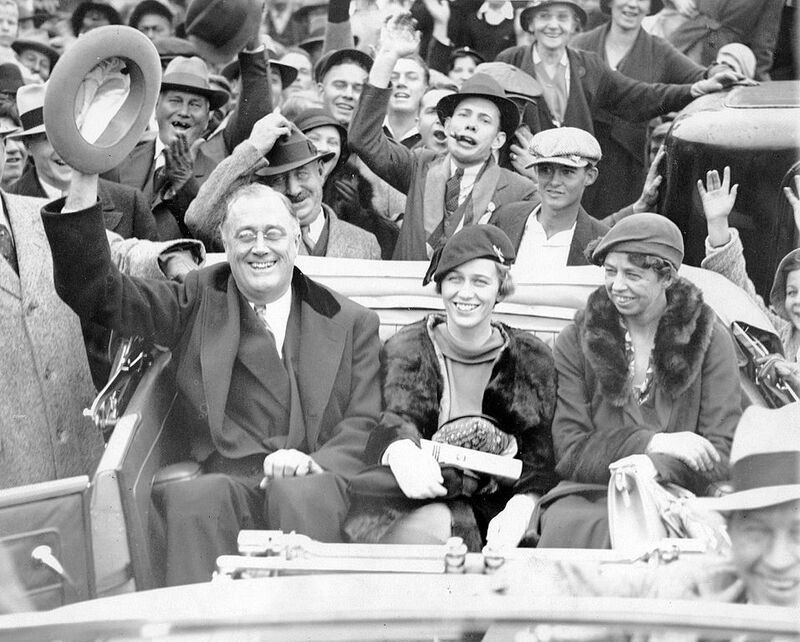 Image: FDR with Anna Roosevelt Halsted and Eleanor Roosevelt during campaign at Warm Springs, Georgia enroute from his cottage to the station. October 24, 1932. Licensed under the terms of the cc-by-2.0.